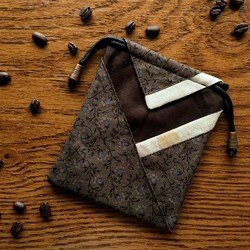 For your beloved handkerchief, find a special storage pouch. small and elegant storage harness pocket is perfect for small details. not fast, every process is focused and carefully sewed. 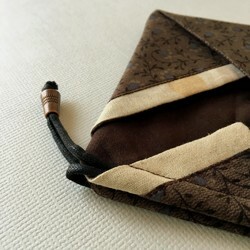 Each bundle pocket is unique and full of individuality. After the bag is formed, it is matched with the most suitable metal ring and strong wax enamel according to the temperament of the bag. 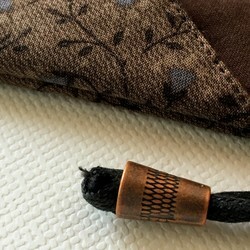 Miss Yin's bundle pocket, the size of the palm, light and sash. 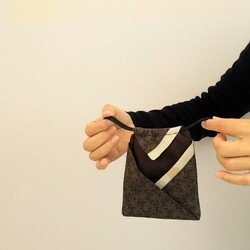 专用 A special pouch for handkerchiefs, peace of mind and elegance, dedicated to you with a handkerchief. ❤️ It is also very suitable for storing other small things such as: electronic products (mobile phone charger, USB), women's products, cards and anything you can think of. ❤️ Gift box packaging, suitable as a gift. 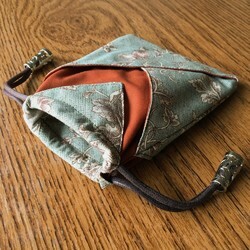 I like to make durable items that I can use every day, as a cherished resource creator, which reflects the value of my work and makes me proud of my work. 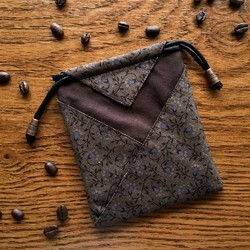 The "Little Things" pocket with a blessing is expected to be a good product in your life. ■ Material: high quality printed fabric, wax enamel, metal ring. ■ Washing method: Please clean with neutral detergent, do not use force and throw the washing machine.